This delicate cluster necklace is made using traditional silversmithing techniques in my home studio in Morzine, France. This necklace uses excellent quality freshwater pearls set in handcrafted recycled silver cups which are soldered together and domed for a second time. The necklace uses 1 X 5mm pearls, 1 X 4mm pearls, 1 X 3mm. 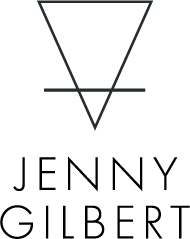 This necklace comes in a 100% recycled Jenny Gilbert Jewellery box.